If you’re worried about the integrity of your car windows and the safety of the people inside, the highly trained specialists at National Windscreens can put your mind at ease. We can also assist clients located in neighbouring areas such as Arding, Invergowrie, Kelly Plains, Castle Doyle, Tilbuster, Saumarez Ponds and Dangarsleigh. You can rely on our mobile car window services to get you back on the road as quickly as possible. 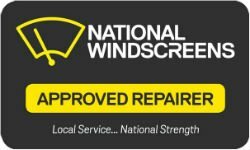 National Windscreens is the number one destination for windscreen repair and windscreen replacement services in and around Armidale. Contact us today to learn more, request a quote or make a booking at your earliest convenience. FIXED NEXT DAY OR FREE TERMS & CONDITIONS: Bookings need to be made online or with our call center before noon. The offer must be mentioned at the time of booking. Bookings made on Friday will receive Monday service. Tuesday service guarantee for any weekend bookings. Melbourne metro online. After-market car glass and chip repairs only. Guarantee will not apply if customer rejects or reschedules booking time. Some next-day appointment times may be outside of standard business hours.